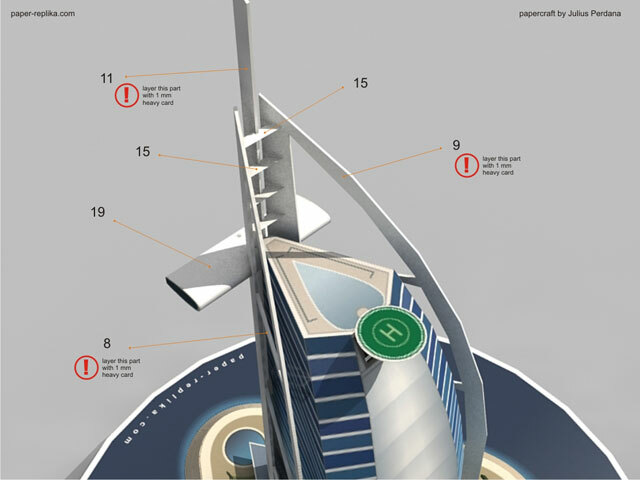 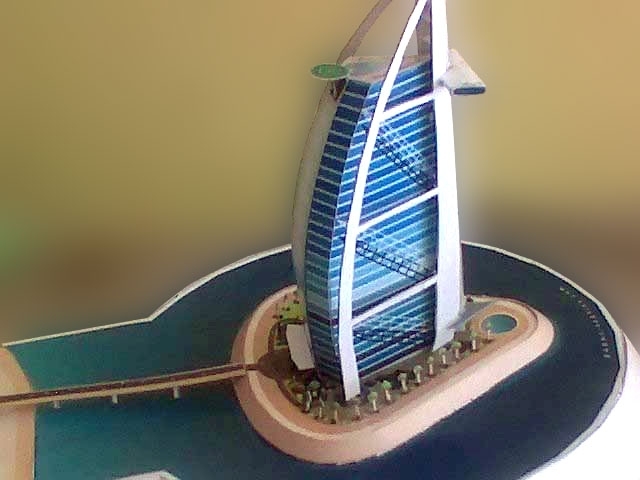 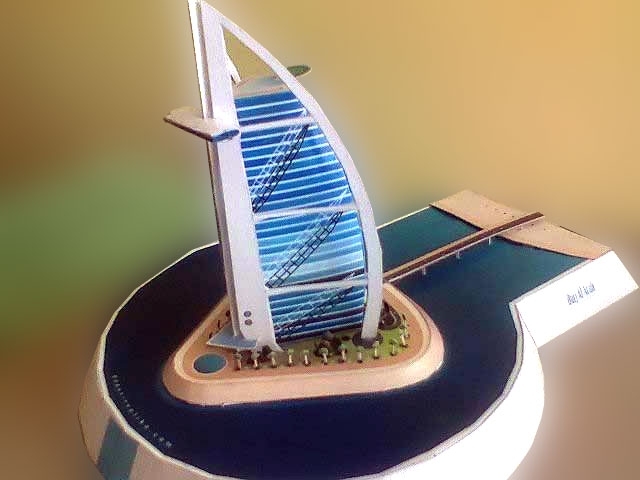 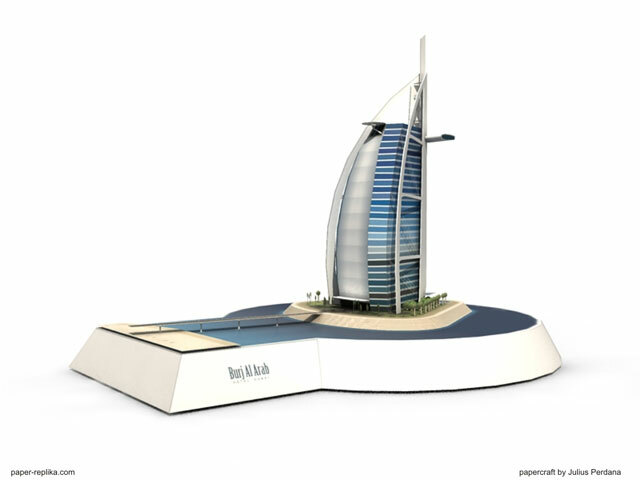 Iconic Luxurious Hotel - Burj Al Arab Papercraft	. 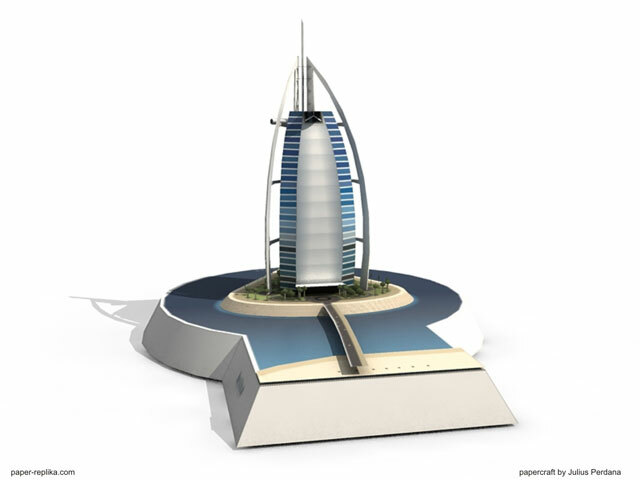 The Burj Al Arab is a luxury hotel with a height of 321 meters, the second tallest hotel in the world (second only to the Rose Rotana Hotel) 1 and one of the most representative hotel buildings. 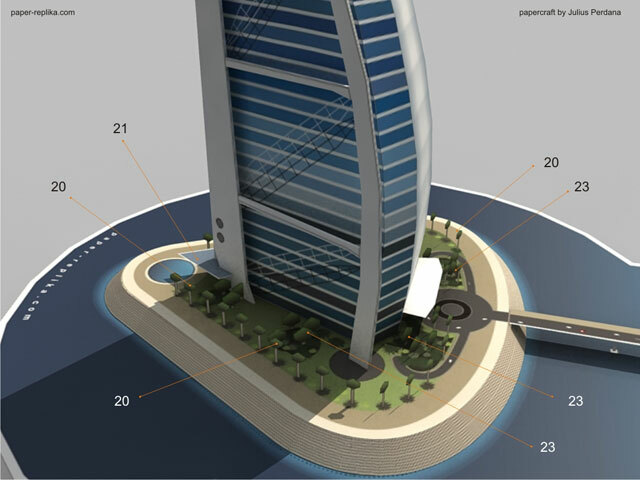 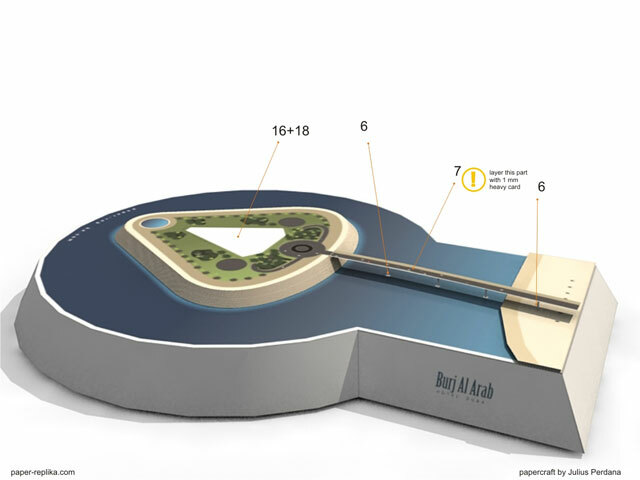 Located in the sea on an artificial island located 270 meters from the beach in the Persian Gulf, which is connected to the mainland by a road. 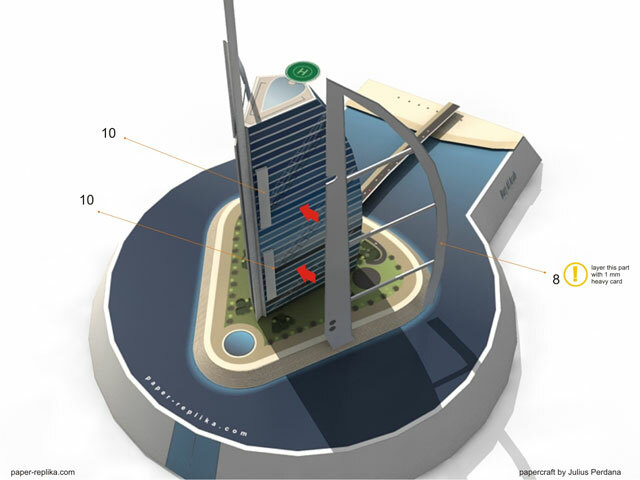 The building began in 1994 and was officially opened on December 1, 1999. 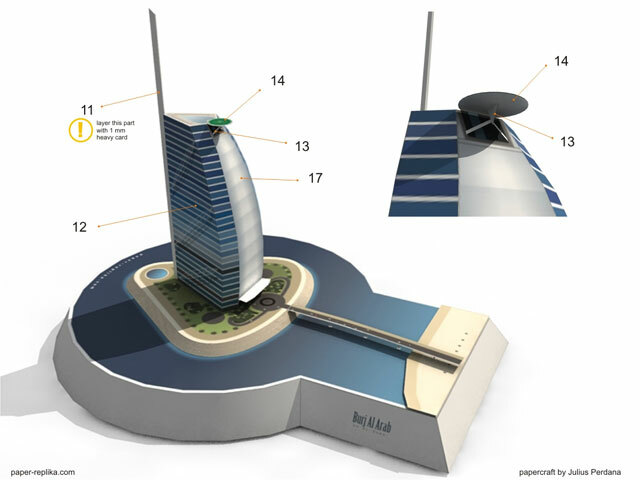 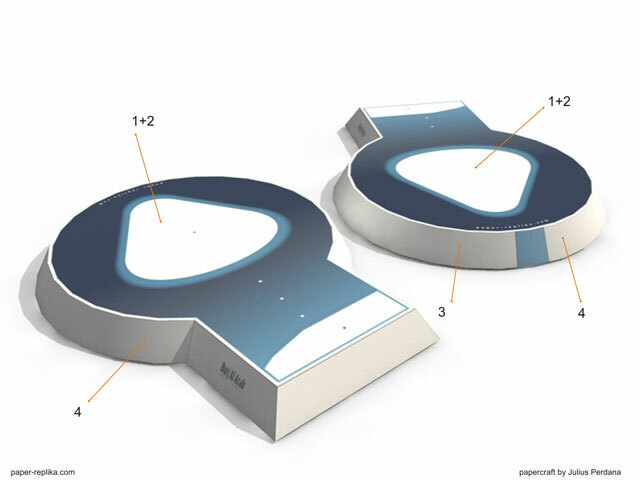 Its shape is inspired by a sailing boat and is located in a specific area in order that your shadow does not cover the beach. 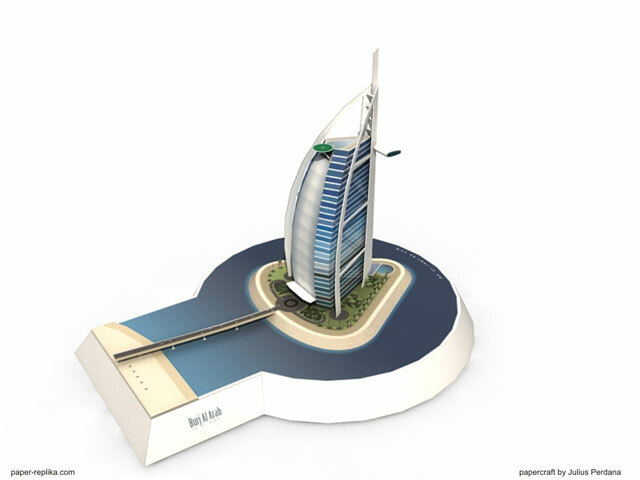 At the highest point of the hotel is a heliport, which is used as a tennis court when there are no helicopters.